Uncertainty over how the U.S. Food and Drug Administration will rule in regards to a number of pending raw milk cheese regulations has claimed its first official victim: Rush Creek Reserve by Uplands Cheese near Dodgeville, Wisconsin. In an email to industry professionals this morning, Uplands co-owner and lead cheesemaker Andy Hatch broke the sad news that he will not be making Rush Creek this year. “It’s disappointing news, I know, and we hope that it’s not permanent. Food safety officials have been unpredictable, at best, in their recent treatment of soft, raw-milk cheeses, and until our industry is given clear and consistent guidance, we are forced to stop making these cheeses,” Andy said. So what would make one of America’s most awarded cheese companies stop production of a cheese that debuted four years ago to great acclaim and that the New York Times described as “fluent and satiny, with a rich, slightly grassy aroma and a mild flavor that hints of smoke and pork.”? 1. The FDA is currently reviewing the 60-day aging rule it imposed in 1949 on American cheesemakers making raw milk cheeses, with many academics speculating the rule will be increased to 90 or 120 aging days within the next year. For an excellent recap and history of how the current 60-day raw milk cheese rule came into being, check out this article by Bill Marler. Remember, Rush Creek Reserve is a raw milk cheese aged 60 days. It is patterned on the magnificent Vacherin Mont d’Or, of which I consumed an entire wheel at one sitting while in London on April 4. No regrets. 2. The newest focus of FDA food safety officials appears to be enforcement of non-toxigenic E.Coli levels in raw milk cheese. Unbeknownst to almost anyone in the industry, in 2010, the FDA changed the standard (see top of page 7) for non-toxigenic, E.Coli in raw milk from less than 10,000 to less than 10 MPN per gram. This happened even after the FDA’s own policy review team (see top of page 7) in 2009 suggested lowering it to only “100 MPN per gram in two or more subsamples or greater than 1,000 MPN per gram in one or more subsamples.” The FDA has begun to enforce this new policy by purchasing raw milk cheeses from distributors, testing them for pathogens, and then showing up at cheese factories for a 3-day investigative inspection. Every cheesemaker I talked to says it is virtually impossible to consistently produce a raw milk cheese with less than 10 parts of non-toxigenic E. Coli per gram. Goodbye, raw milk cheese. 3. Aging cheese on wooden boards may or may not be a dead issue. Two months ago, after a mid-level FDA bureaucrat declared the agency would no longer permit American cheeses to be aged on wooden boards, the entire U.S. cheese eating population erupted in an uproar that made the FDA back down just three days later. In Wisconsin alone, 33 million pounds of cheese are aged on wooden boards, including Rush Creek Reserve. So to recap, between raw-milk aging rules, new pathogen policies, and the threat of whether the FDA is really backing down on the use of wooden boards, one of America’s great cheeses is no more. 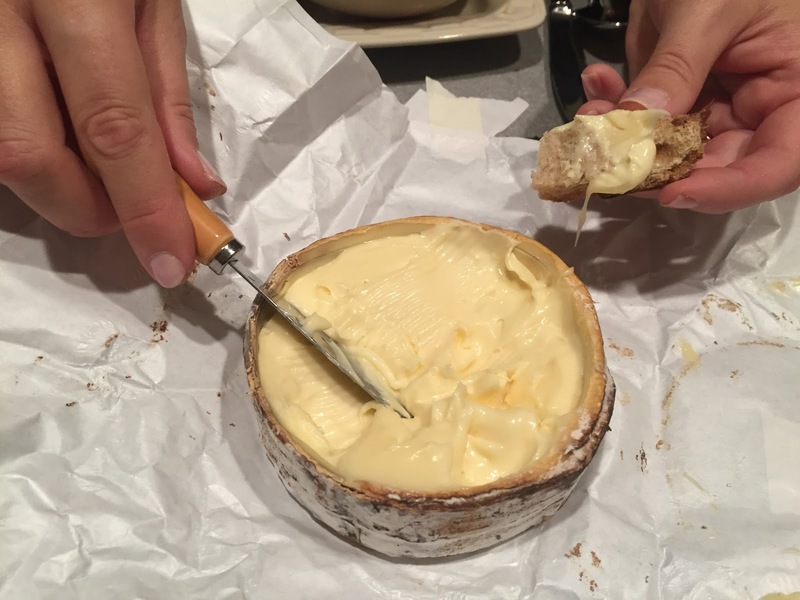 The death of Rush Creek Reserve should act as the canary in the coal mine for all American raw milk artisan cheeses, because just as our great American artisan cheese movement is in serious full swing, the FDA has basically declared a war on raw milk cheese.